The average American household is known to have more items than most other houses in the world. There are also at least 50 unused items in each American home, which is probably why yard sales are so popular in the U.S. 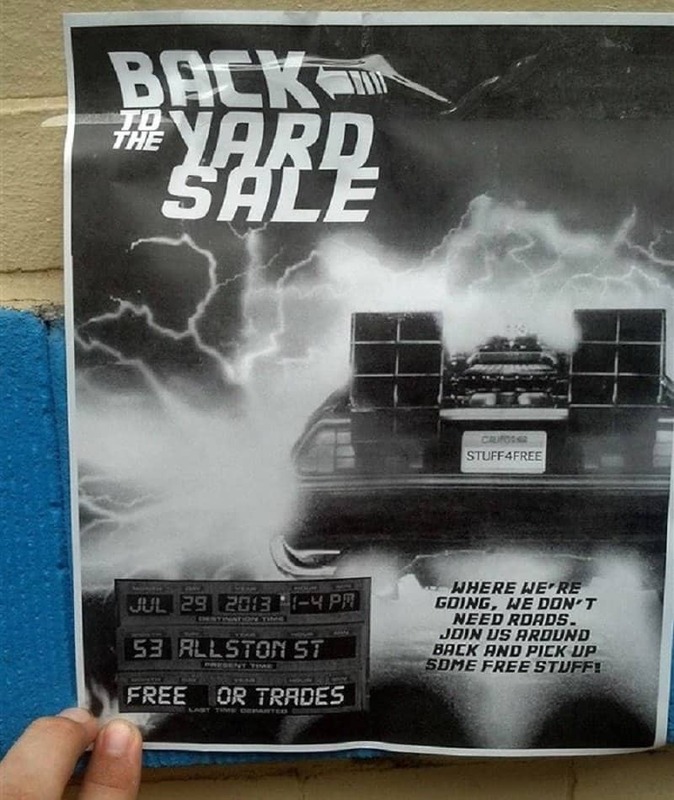 There are so many yard sales happening in every neighborhood, that people have had to resort to using innovative signs in order to lure people into their yards. 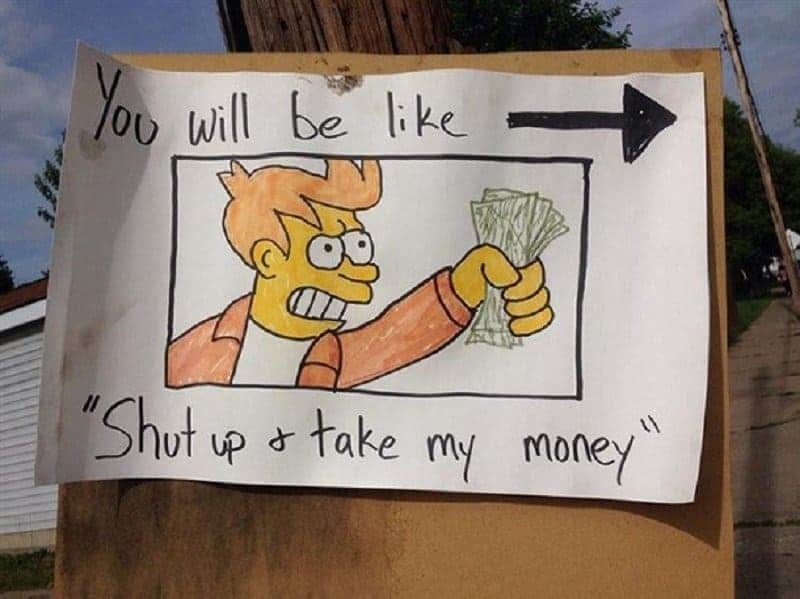 These signs can be silly, pop-culture based, and downright hilarious at times. 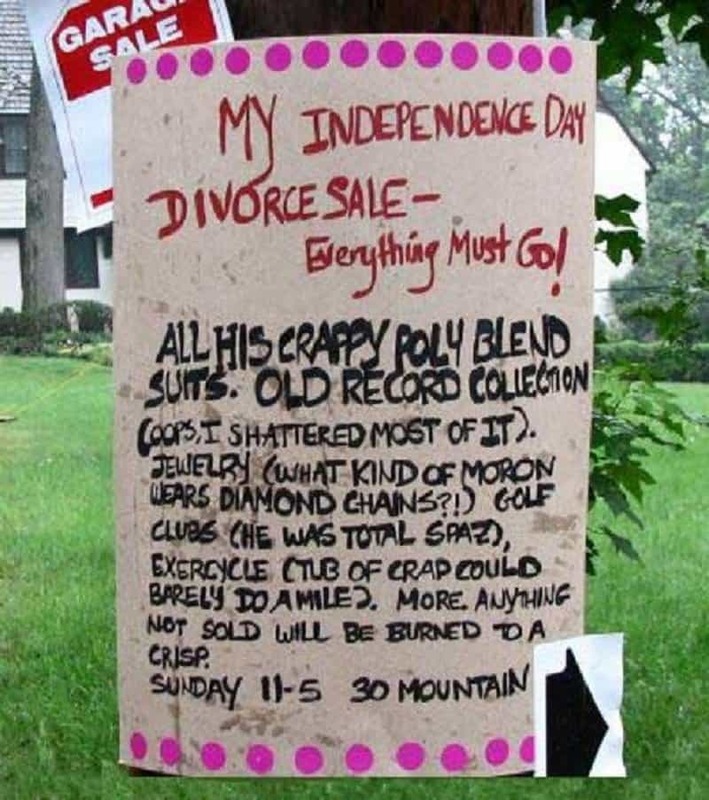 Here is a list of 10 of the funniest yard sale signs you might encounter. This little gem is loaded with references to ‘Back to the Future’. Someone spent quite a bit of time on Photoshop to put this number together. 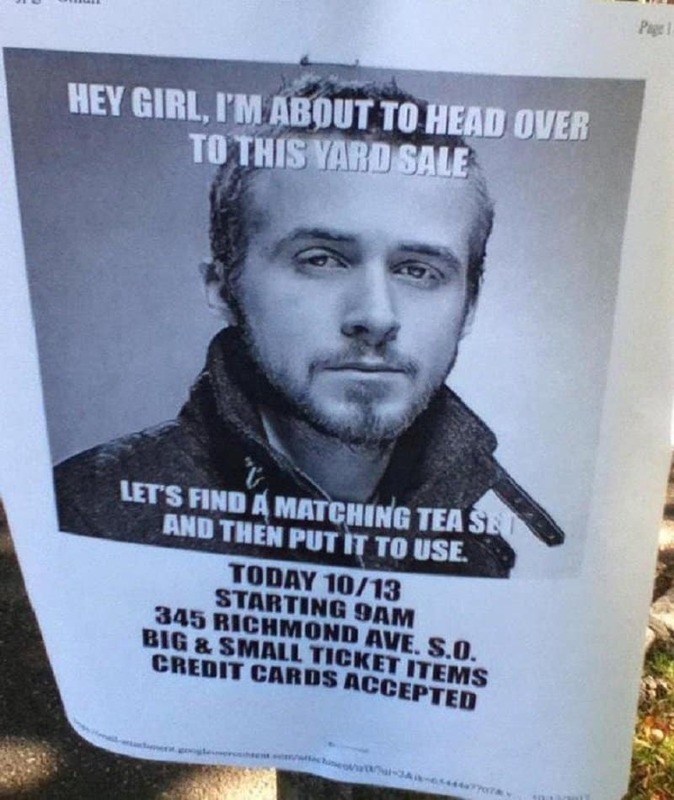 Nothing like using a heartthrob celebrity like ‘Ryan Gosling’ to push your products. If big corporations can do it, why not home owners as well. 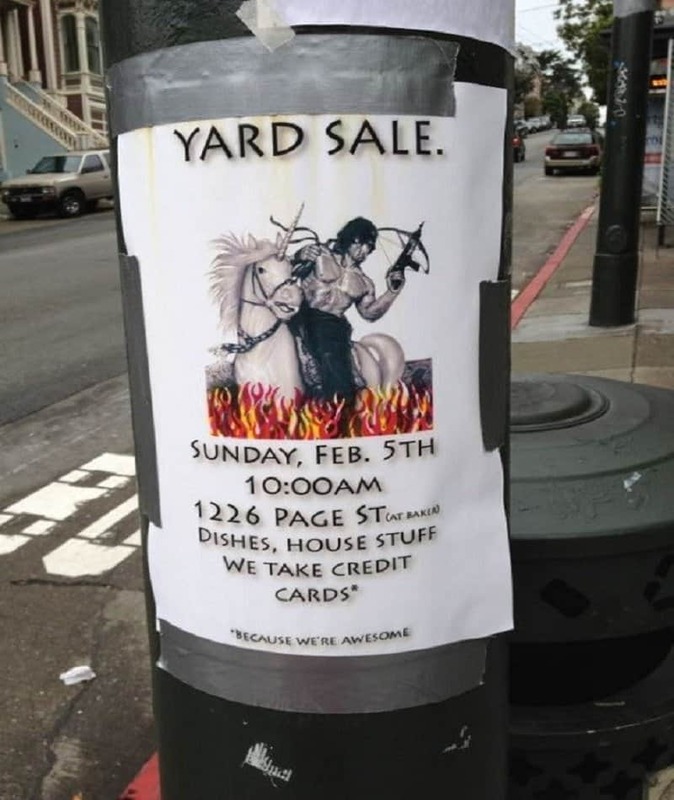 What can be more convincing to make you go to a yard sale than the powerful imagery of Rambo riding a unicorn while holding a crossbow and being engulfed by flames? 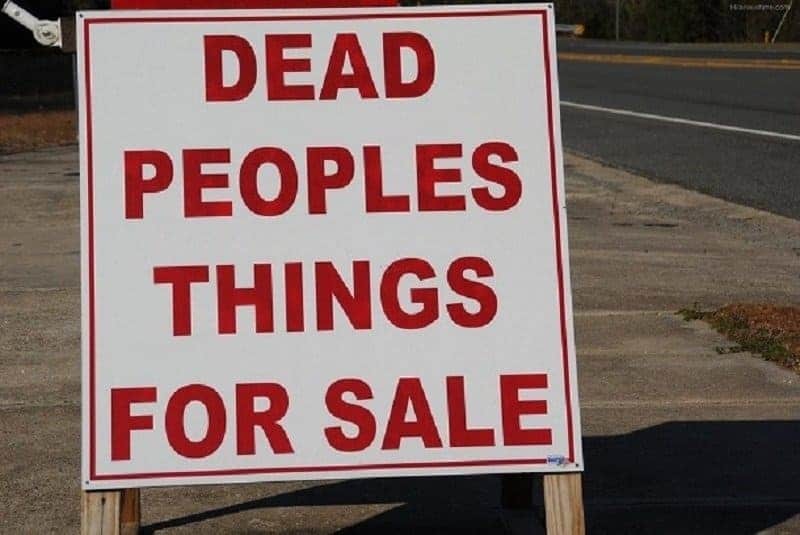 Modern advertising lacks honesty, which is why this sign board is a lot less creepier than it should be. 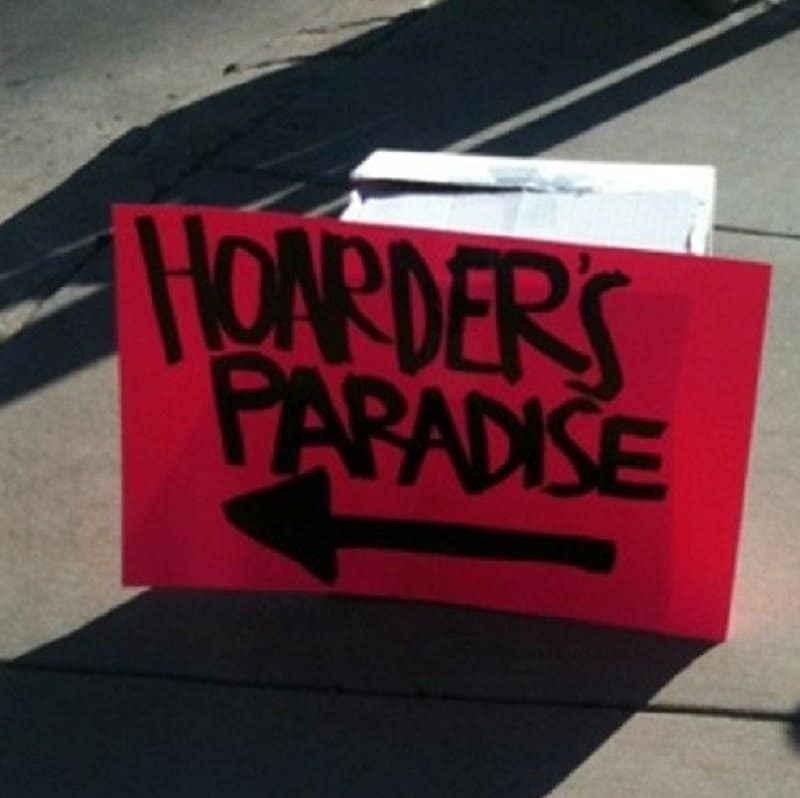 Have you heard of people buying a new house because they ran out of place to keep their stuff? These husbands clearly wanted to avoid that dilemma. Hoarding is a big problem in America, but in this situation, it is actually a solution for someone. 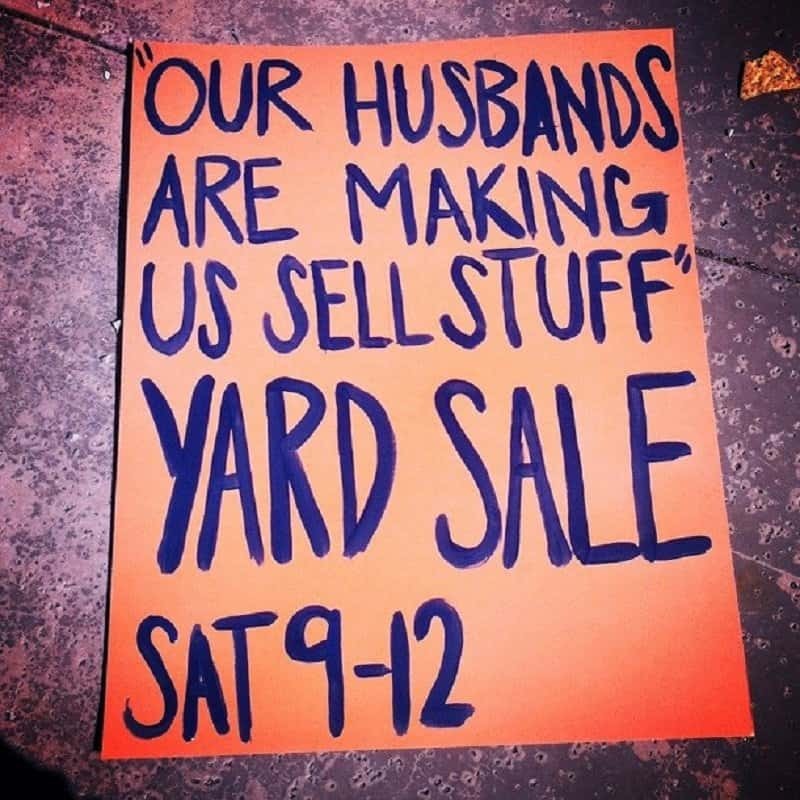 This recent divorcee used the yard sale sign to not just sell her stuff, but to also dish out some dirt about her former husband. 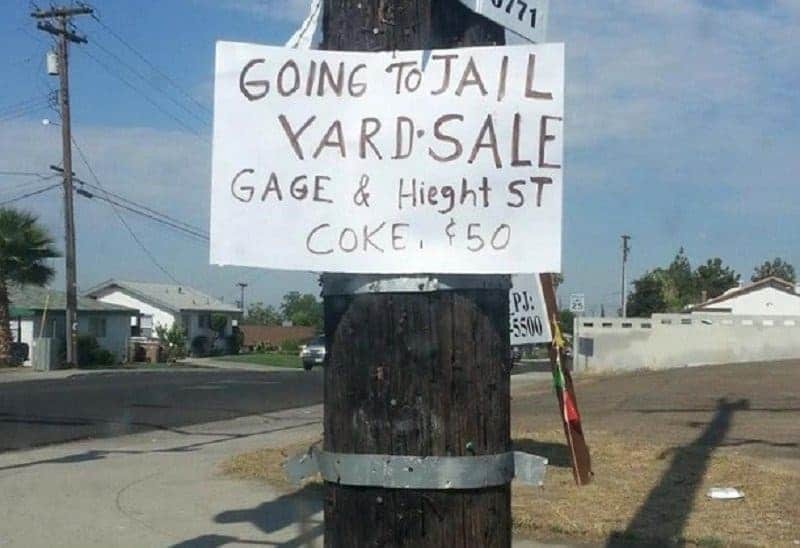 The seller’s desperation can really be used to negotiate prices during yard sale. You just don’t want to mess with this seller for obvious reasons. Being a smart consumer is a must in today’s world. You really don’t want to be like Fry from ‘Futurama’. 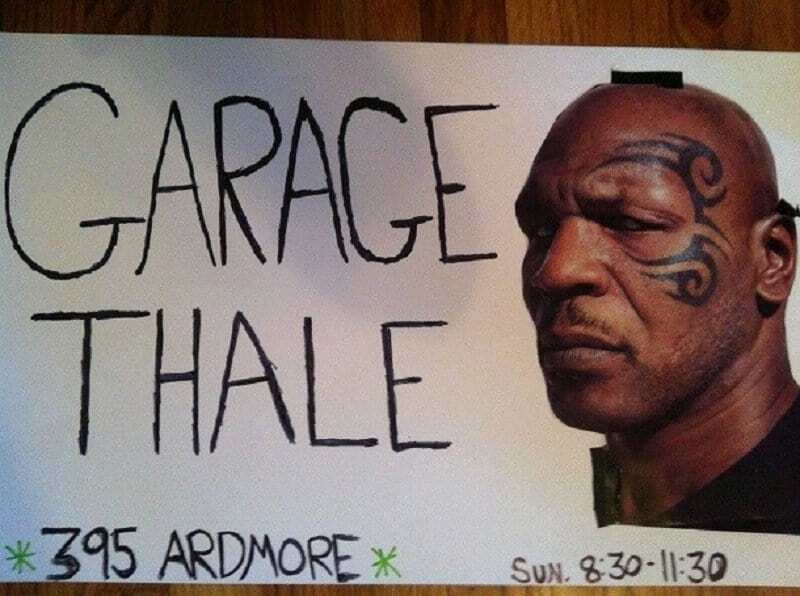 You can totally picture Mike Tyson saying these words right? Smart way to get inside your head!